The 32nd edition of the International Contemporary Art Fair of Madrid (ARCO) will be held from 13 to 17 February. The guest of honour this year is Turkey. The Turkish part has been organised with the help of Turkish embassy. Curator Vasif Kortun, Head of Research at the SALT Institute of Istanbul, has selected the galleries. The aim is to present to the public and collectors an overview of contemporary Turkish creation, an art still emerging on the market place. 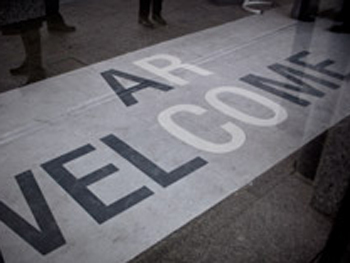 ARCO hosts 201 galleries from 27 countries, over 150 curators, museum directors and other professionals from all over the world, 250 international collectors, over 2,000 artists, 2,500 journalists, roundtables, professional meetings, exhibitions, prizes and parties.